Many of our new clients are wondering what the benefits of cannabis are. As public acceptance of cannabis grows and research continues to expand, this all-natural medication’s ability to relieve a range of symptoms is becoming more widely known. Cannabis has proven indispensable to individuals dealing with disorders and diseases, but it can also assist people struggling with one-time or chronic, stand-alone symptoms. The four symptoms discussed below underline the power of cannabis to act as a multi-purpose treatment option that lacks the harmful side effects of many pharmaceutical therapies. 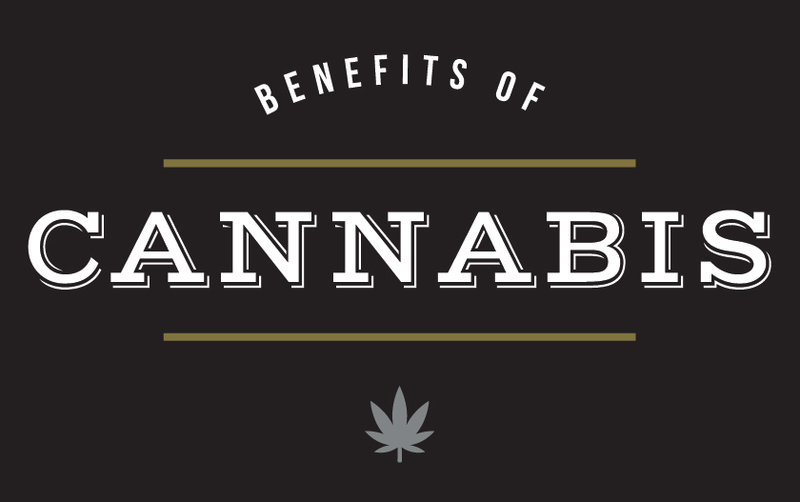 Read on to learn about the benefits of cannabis and its positive health effects. With the opioid crises afflicting Canada and the United States in recent years, cannabis has begun to shine as a safe and effective alternative for treating pain. For people struggling daily with chronic pain – caused by everything from an injury to cancer – cannabis offers relief without the risk of overdose or debilitating side effects. Unlike many symptoms and conditions that have only anecdotal evidence to back up their benefit (thanks to a lack of funds for research), the medication’s effect on pain has been fairly well documented. The interaction between cannabinoids in cannabis (primarily CBD, but THC and others, as well) and the body’s natural endocannabinoid system can block pain in the peripheral nerves. This pain-killer effect acts in concert with the medicine’s other benefits; for instance, if your pain is caused by muscle aches, an indica strain of cannabis, with its relaxing properties, will enhance the pain relief. Whether you have diagnosed insomnia or just find it difficult to nod off some nights, cannabis can help with insomnia. Beyond the simple fact that cannabis relaxes you, low and moderate doses of THC have been found to help people fall asleep more quickly (though high doses appear to have an opposite effect). The reason for this lies once again in cannabinoid interaction with the endocannabinoid system, which plays a role in sleep regulation. For people who fall asleep easily enough, but wake up multiple times during the night, cannabis edibles, like capsules – which tend to take effect about an hour after consumption – can be hugely beneficial. If your sleeping troubles are tied into difficulty breathing, cannabis’s bronchodilator properties can improve that aspect as well. Given its reputation for causing “the munchies”, it should come as no surprise that cannabis can increase appetite. While this can be a detrimental side effect for some, for cancer patients plagued with chemotherapy-induced symptoms, or people struggling with anorexia or bulimia, that extra push to eat can be a lifesaver. It seems that THC interacts with the olfactory receptors in the brain, making us more sensitive to the smells of food around us. The endocannabinoid system comes up once again, as well, since it is involved in food intake regulation. When cannabinoids from cannabis are ingested, they seem to increase secretion of ghrelin, a hormone that increases appetite. The endocannabinoid system is also responsible for signaling the hypothalamus (a part of the brain involved in appetite regulation), which preps the body for impending food consumption. Cannabis also eases upset stomachs; it turns out nausea is largely in the mind – think of how we feel sick to our stomachs after a concussion. The medication eases these nauseous feelings almost immediately upon inhaling smoke or vapour; inhalation methods are the superior consumption options for this particular benefit. Cannabis holds a lot of promise as a natural treatment for anxiety, depression, and stress. One way it can help is by providing the body with an influx of antioxidants, substances that protect against DNA damage by neutralizing chemical causes of stress. The cannabinoid THC also appears to counteract the cerebral defects that can develop in the presence of chronic stress. These benefits are both long-term, but a quick inhale of cannabis vapour or smoke (of the right strain, of course) can start relieving stress right away. THC closely resembles a neurotransmitter called anandamide, which helps the body regulate stress; if your body is not producing enough anandamide, you can grow exceedingly anxious. Add in THC, which your body accepts as anandamide, and you’ll raise your stores high enough to relieve your current feelings of stress. The budtenders at are well-versed in the best products and dosages for whatever symptoms afflict you and to help you understand the many benefits of cannabis. They are more than happy to help design the perfect therapy regimen for your personal needs, and outfit you with all the information you require to treat your symptoms safely and naturally.